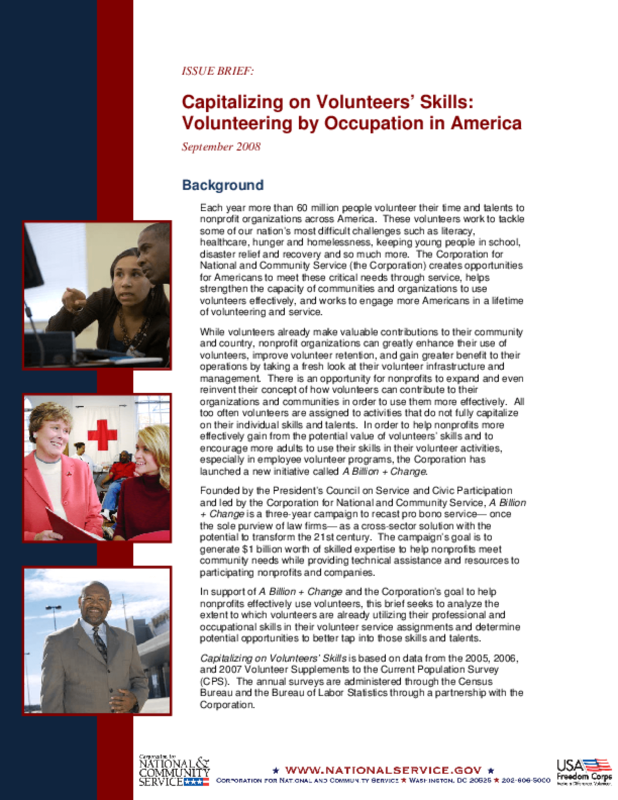 Examines how volunteers are using their professional and occupational skills during volunteer activities, based on data from the 2005, 2006, and 2007 Volunteer Supplements to the Current Population Survey. Copyright 2008 by Corporation for National and Community Service. All rights reserved.